In laying out revised training requirements, the FAA appears to be clarifying some issues while slipping, sliding and reducing many training needs. Using the perverse logic of cost-benefit, if there were no accidents the need for improved training would vanish, even in the face of existing shortfalls in training and the growing lack of experience in the pilot ranks. New requirements does not necessarily mean that aircrew and dispatcher requirements are higher than in the original NPRM and, in fact, they may be lower. Partially address NTSB recommendations means only a half-hearted attempt at implementation which may well result in the NTSB eventually classifying the FAA action as “unacceptable”. Based upon public comment implies the original NPRM stirred up a hornet’s nest within the airline industry and the FAA is now backtracking with the hope of gaining at least reluctant acceptance of its modified proposals. This is the reality – not a hint of which is reflected in the hype of top officials. The changes reflect initial and recurrent training (in flight, in simulators, in the classroom) for pilots and flight attendants. The proposed regulation contains, for the first time, training requirements for dispatchers. The original NPRM spelled out in considerable detail the training for each subject and the frequency of recurrent training. In the NPRM, the FAA estimated the 10-year cost of implementing all training and record-keeping requirements to be $372.7 million. This estimate was probably low, as the training requirements were comprehensive and the cost per year works out to be a paltry $37 million. For Part 121 and Part 135 operators (scheduled and on-demand carriers), to whom the NPRM was directed, the 10-year benefit – in terms of accidents avoided – was estimated at $737 million. With another two years to pick away at the FAA’s proposal, the industry may well increase costs further, wiping out any perceived cost-benefit advantage and, thereby, nullifying the entire proposal. 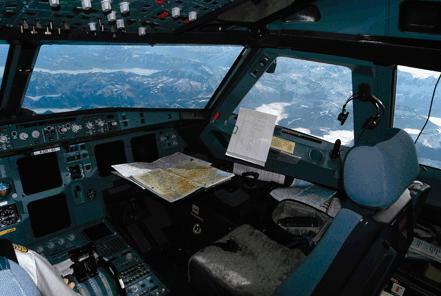 Given the enormous demands on simulator time, a 30% reduction in recurrent training, especially in light of the future loss of pilot experience, appears to be a convenient fabrication. The suggestion that 8 hours training can be conducted in 3 hours and 29 minutes (the appearance of precision here is bogus, as debriefing alone after such training may take that much time) seems a stretch. Comments on the SNPRM are due by 19 July 2011. From that date, a further 24 months could elapse before the FAA publishes a final rule on pilot, flight attendant and dispatcher training. Assuming that the original NPRM was a year in preparation, it could take up to five years to get the regulation on the street and as long as three years after that for its provisions to be fully implemented. Yet, reading through what the FAA proposed originally, one is left with a nagging question: why weren’t these basic training requirements being accomplished all along? Also, if there is a new record-keeping requirement on training, one has the suspicious feeling that the FAA had little in the way of documented compliance with its previous – now deemed inadequate – standards. All of this from an agency which proclaims air safety is Job One; however, the impression is that cost avoidance is the regulator’s primary objective. 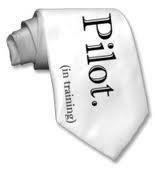 The SNPRM suggests the FAA is unsure of how aggressively it should push for tightened and improved training standards. The systematic and built-in delays suggests that the promotion of air travel – rather than the promotion of safety – is the task envisioned for itself by the FAA.